We are proud to introduce to you our Golden Sponsor- the Global Association for Software Quality, abbreviated GASQ. GASQ is an independent, international association for the common good that pursues the objective of promoting the quality of software used in research, teaching professions and by the industry. The founding members of GASQ hail from Europe, America and Asia. As a leading organization in the software quality sector, GASQ maintains an international network and supports certification programs, e.g. for software testers, requirements engineering experts and usability professionals. At the same time, GASQ through its GASQ Service GmbH offers services for associations and groups advocating for software quality. Through all of its activities, GASQ strives to make it its core responsibility to increase awarness of the importance of good software quality and of highly qualified staff and businesses in this sector. 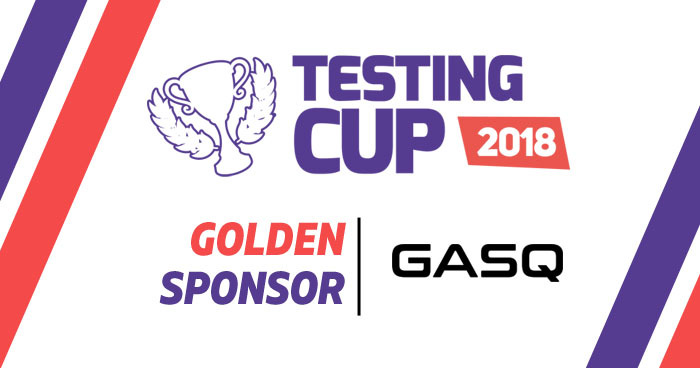 Do not miss your chance to know GASQ better during TestingCup 2018!